Carbon neutral paper that’s also inexpensive? Oh yes. As we work towards the wide variety of goals in the Pitt Sustainability Plan, the products we all purchase become incredibly important. Paper accounts for just over 1% of the University’s greenhouse gas emissions, which is a lot for a single commodity. 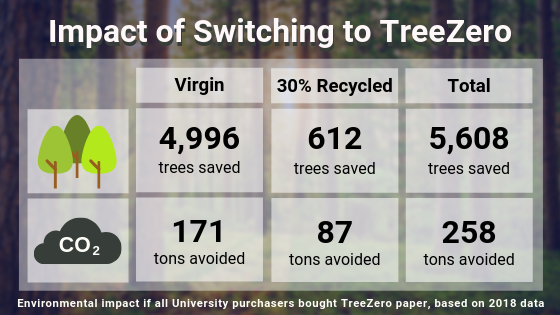 By making the switch to a carbon neutral paper like TreeZero, we have the opportunity to save money while reducing the environmental impacts of our direct purchases and supply chain. TreeZero is made from 100% sugarcane waste fiber (not tree pulp), which means its price is not impacted by increases in the paper industry. 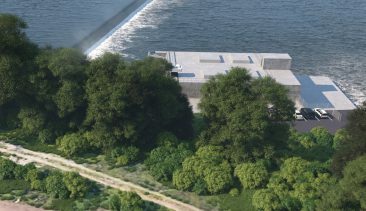 TreeZero is 100% recyclable and carbon neutral, making it a smart solution for the environment as well as your budget. Several offices on campus have tested TreeZero paper with no reported issues. 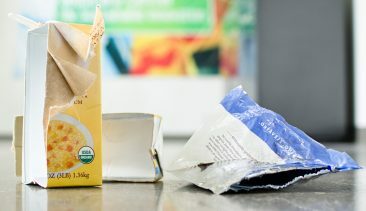 – and is offered for cheaper than virgin or recycled content paper in the SUPRA punchout in the PantherExpress System. All campus purchasers have a daily opportunity to help integrate the tenets of sustainability into the University’s procurement. On the topic of paper, we encourage everyone to shift to TreeZero. Read more from Pitt’s Purchasing Services about the rising price of paper and how you can save money while cutting carbon.